Road to the Underdark was worked on by the design team and playtesters behind D&D Heroscape. 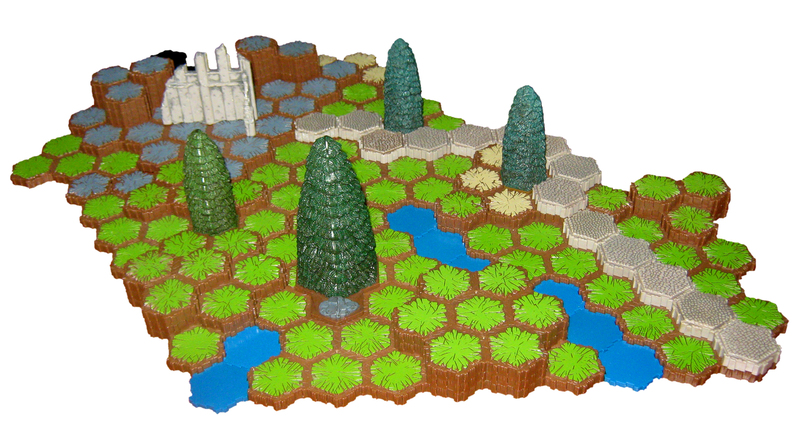 This scenario is available exclusively at heroscapers.com. A big thanks to Malechi as well, who created the glyph graphics for us. January 11th, 2010 at 01:14 AM I can't get the download link to work, is it just me? January 12th, 2010 at 07:09 PM I can't get the download to work as well. January 14th, 2010 at 09:35 AM Don't know if this will help, but did you guys try to download it signed in? When I tried the first time I wasn't signed in and couldn't do it, but when I signed in and tried I was able to no problem. Hope that helps. Good luck. January 16th, 2010 at 06:44 PM I am signed in and it has failed 2x. ?????????? January 17th, 2010 at 04:37 PM Download not working for me either and I'm signed in..
November 27th, 2010 at 05:23 AM Still not working! Hey Truth, can you help with this or do you need help with this? August 19th, 2011 at 03:19 PM Works fine for me, I've downloaded it multiple times.